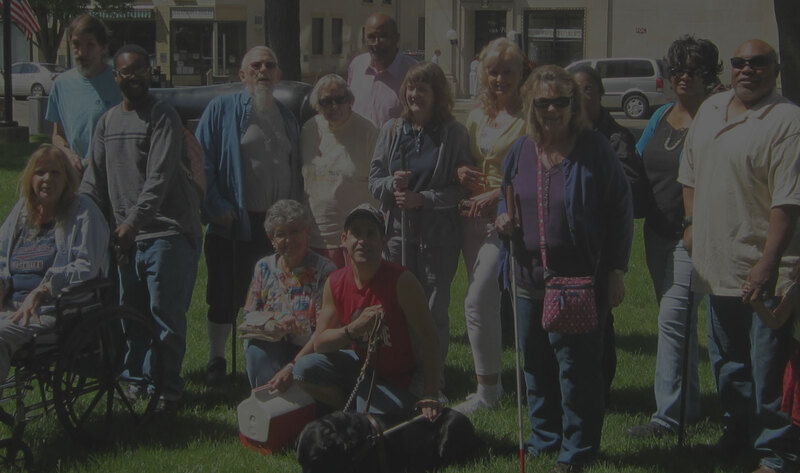 The Akron Blind Center, Inc., is a membership-based non-profit organization incorporated in 1948 to serve the blind and low vision communities. We also provide resources, programs, services and classes for Summit and surrounding counties. We provide a sense of belonging, purpose and accomplishment to like-challenged members, in a safe and fun learning and social environment. We are always accepting new members and volunteers, no matter what level of vision. We are proud to have earned the Better Business Bureau Charitable Alliance seal, which is their highest honor, having met 20 of 20 stringent standards (rare nationally). This means the public can be assured we are good caretakers of donations and spending. The people here are truly remarkable. They overcome so much and show how patience and persistence can win the day. The next time you think you are having a tough day, take away your vision (and with it transportation, visual judgement and convenience) and think what you would do. I have developed wonderful friendships here that have helped me through hard times. I consider this a home away from home. You should help whatever you can because it is important to the Center, and the Center is very important to us. The Center gave me hope, encouragement and my life back. It allowed me to pay it forward as a teacher and mentor to others. I hope to give inspiration and encouragement to others. I like learning while socializing with other people with similar challenges. I appreciate what the Center does for me and it keeps me busy and involved. It gives me purpose and lets me know I am important to the organization. I have learned a lot about safety and about how organizations function. The Center is critical to me. It is important to take advantage of the classes available and have fun with friends. I take every opportunity to promote the Center and contribute to help others. I am blind and inspired by others here. I enjoy learning and being with others with similar challenges. We as the blind can give back and contribute.